There are many traits to consider when selecting a design professional. These traits are often shared with many other types of professionals. Universal qualities are something we all immediately look for in people we are seeking to hire. Trust is one that readily comes to mind, and it seems to be one that has very broad attraction. We need people to be trustworthy that we are going to hire. Other traits like empathy and reliability come to mind as well, and they make the top of the list. Intuition is a great trait for any designer to have. This allows them to track at a deep level with their clients, and will help to put you at ease. This is something that good artist have, and it is skill that often takes some developing. There are many uses for this trait, and it can help to build trust if executed in the right way. When you are looking for the right design professional to hire, look for intuition. It will payoff in multiple ways for you, and you will be happy you found someone with this skill. They also need to be expressive. This almost goes without saying that a residential interior decorator should be expressive, as this is the nature of their work. You should find someone who is able to really bring out a unique perspective. This should also tie into the first point, and they are interlinked. Intuition in an artist can help to pull out the expression from their client. Work with the design professional, and together you should be able to accomplish this end goal. This combination of skill can really help you achieve you end goal of creating something very special to enjoy for years to come. Another important trait to consider is communication. This should be another one up there on your list. As you interview potential designers, be sure you search out some who displays great communication skills. If this is not present in the project, things can really go a direction that will not make you happy. This is not at all an outcome you want. You want to be sure you have covered all the bases to obtain your dream home. Do not let this slip by as you pose questions to potential people you may hire. 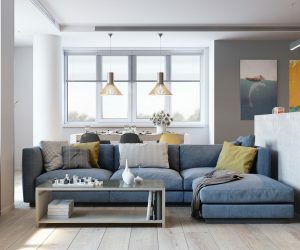 This list is meant to spur thought, and get you to understand what you need in an interior decorator in Denver. Each one of these items in this post should help you go a little deeper to understand yourself, and translate those into your goals for your home. As you seek to better your life, be sure you take time to understand how all these pieces fit together. This will help you achieve your goals.